Paradise in Thailand This beautiful 1 bedroom villa situated in possibly the only 5 star beachfront area in Pattaya just perfect for that romantic holiday ,or that Honeymoon retreat totally private with its own private Beach, luxury being the prime features of this Majestic Villa with its own U B C Television D V D Player and a WIFI Computer System installed ,with private pool and sun loungers , with a backdrop border of exotic plants, this is a real dream villa set in the luxury villas of Majestic Residence with its Own Security Guard System 24/7 and a security box in the villa ,Majestic Villas has its own lovely clubhouse where you can have a delicious meal ,or a quiet drink at the bar ,or just a quiet drink or snack by the large communal pool ,which is only 2 minutes from your. Villa Taxies or a Baht bus are always available to take you to the vibrant night life of Pattaya with its Famous Walking street with 100s of bars restaurants shops or shopping Supermarkets ,Daytime you could go on many conducted tours of which there are many ,The floating Market ,The bridge on the River Kwai or even a trip on the Death Railway ,or the Beauty of Nong Nuch Gardens and the Elephant Show ,or at night to Tiffanys Lady Boy Show ,These are only a few of the many venues available . 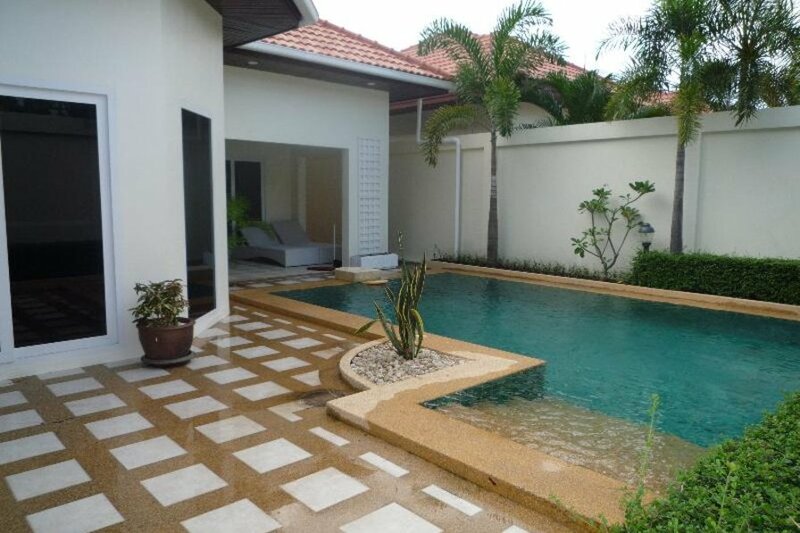 Breakage securiity deposit : 10,000 Bath or Equivalent in your local Currency required paid on arrival , returned on departure once the villa has been checked for any damages ,breakages,water 25bath / Unite and electricity 6 Bath / Unite.